Here’s a handy map of Provincetown. Major Fair and town locations are indicated in keys. 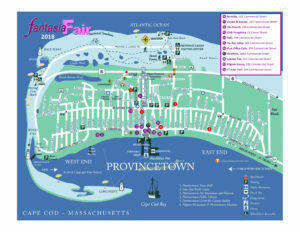 You can download and print the map and study it before the Fair. When you register, your packet will contain a printed copy– and the map is included in the Participant’s Guide.